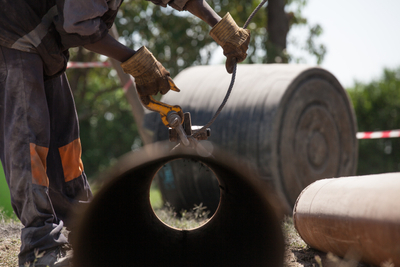 Only 40% of other water wells work in Africa. 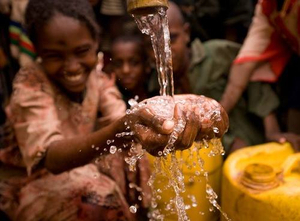 Be a hero this holiday season - give the gift of clean water and know it will last. EVERY $10 = CLEAN WATER FOR LIFE FOR DECADES. With your help, the close of this year can be an incredible milestone for our communities. If we raise enough by December 31st, we will be able to provide clean, lasting water to another 20,000 people, bringing the total number of people served by our organization to 200,000! 100% of your investment goes to support Well Aware in the cause for clean water when you make a general donation here. And, since 100% of our water systems are functioning, you can have confidence that your contribution will continue to save and improve lives for decades to come. DONATIONS MADE THROUGH 2016 WILL BE MATCHED BY A DONOR! You can give a beautiful and meaningful gift that also gives clean water. Every item from our products provides clean water to at least one person for life. All of our products also reflect our branding and image to help promote our cause. Click here to shop! 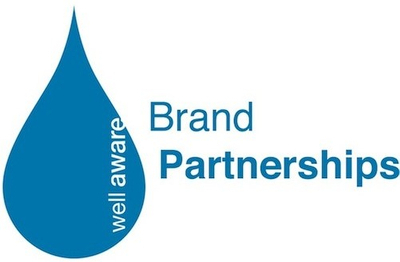 We are proud to work with with businesses that have a desire to be a part of effective water aid! 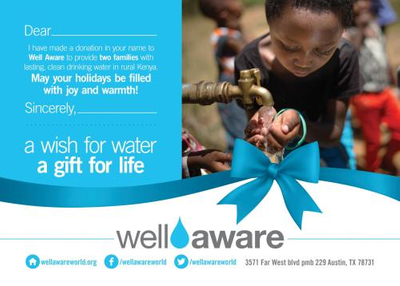 Look at how our Brand Partners are celebrating the holidays with Well Aware. Check out their holiday products and promotions! Our wonderful Village members commit to a recurring monthly contribution to support the growth and impact of our important work. Membership in The Village includes VIP treatment at special events, our signature water drop bracelet, exclusive projects updates and a presence in our outreach. Two of our heroes are this year's Well Aware Global Impact Awards, actress Mary Elizabeth Ellis Day, and National Geographic Photographer, Greg Davis. Here's what they have to say about the work of Well Aware. “When I found out what Well Aware does, I got very excited to become a part of the program,” shared Mary Elizabeth. 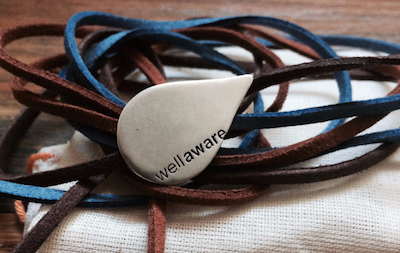 “Well Aware provides such a beautiful opportunity to be involved in raising the human condition on a global level. 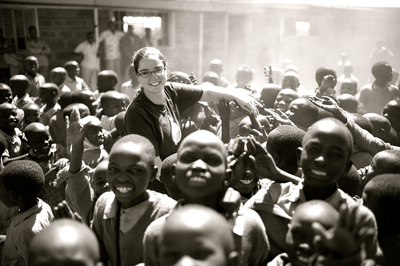 The effect that one well can have on a whole community astounded me, especially the impact on women and children!”Mary Elizabeth has participated in Shower Strike since 2015, raising tens of thousands of dollars to support Well Aware’s work in building sustainable water systems in East Africa, and used her voice to be an advocate for the work for the work Well Aware does around the world. She also created a "Psycho" themed video for Shower Strike. 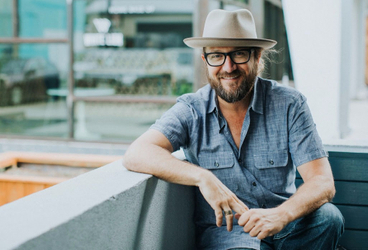 National Geographic Creative Photographer and filmmaker, Greg Davis, has been Well Aware's top ambassador in 2017. It was his first trip to Kenya with Well Aware in 2014, when Greg took the iconic photograph of a child gathering water from a trough that was life-changing for him. There, he saw the need, firsthand, for the work that Well Aware does and how he could use his talents and skills to help the message reach more people. Greg’s poignant photographs and images have introduced countless individuals to Well Aware and donates a portion of his Well Aware Photography Series supports building wells. Check out more of Greg Davis's photography, including the Well Aware series, here.